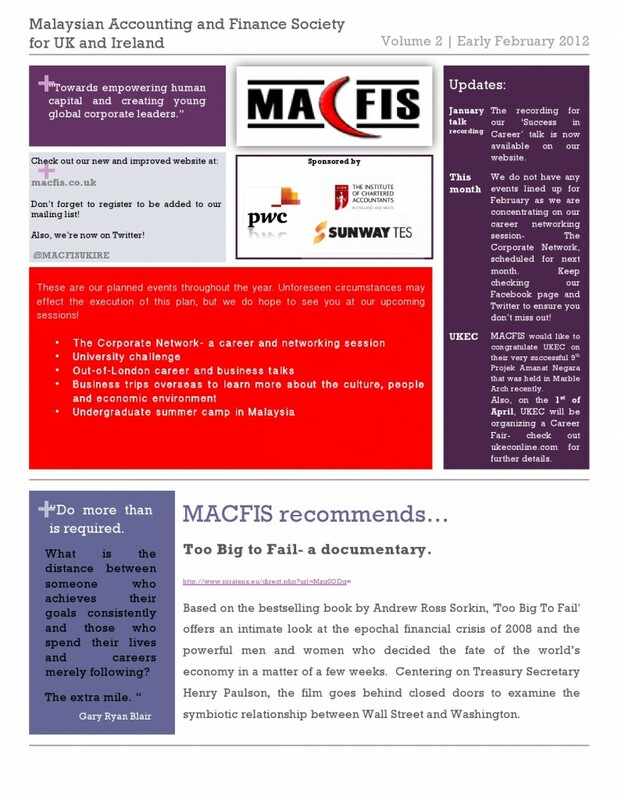 Find out what’s been going on in MACFIS and recent developments in the society. The latest UKEC Newsletter has been published and we all have 3 fantastic looking events to look forward to. The Cardiff European Games 2011 The Festival of Diversity VIII UCL Malaysian Night (Class of ’69) Read more about the events here.